A National Monument West of Yellowstone—Great Idea! Comments Off on A National Monument West of Yellowstone—Great Idea! 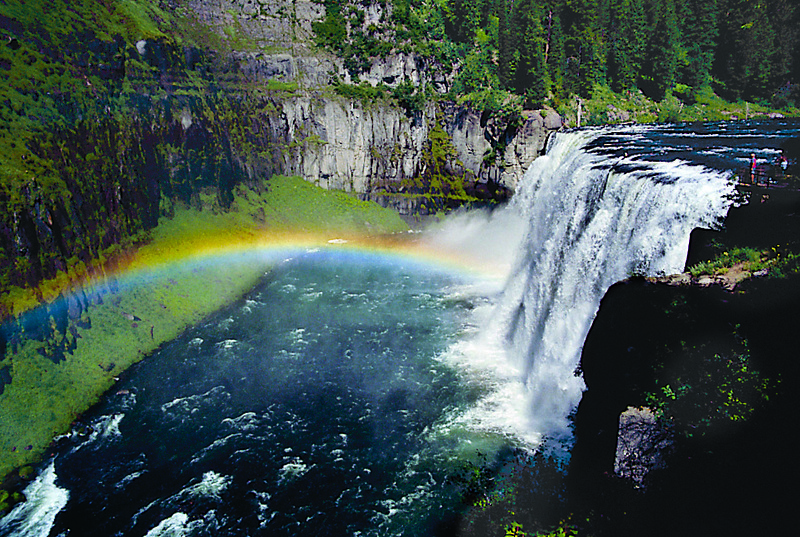 Rocky Barker’s post in the Idaho Statesman, and his beautiful photo of Upper Mesa Falls took me back to the several pleasant visits I’ve made to that area. 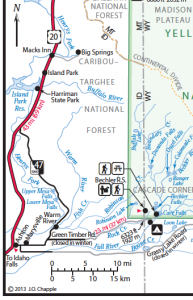 What a great idea to make this area, already public land in Caribou-Targhee National Forest, a national monument! Here’s the same view from Yellowstone Treasures. 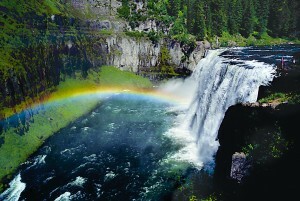 Both Upper and Lower Mesa Falls are worth a detour off U.S. 20. Besides the falls, the area sports beautiful 1930s stonework, good visitor access, and the Big Falls Inn’s small visitor center. Those of us who have been there should urge President Obama to use his ability soon to designate this part of Idaho just west of and contiguous with Yellowstone Park as a national monument. A portion of Yellowstone Treasures’ map on page 115 shows where the falls are located along Idaho state road 47.